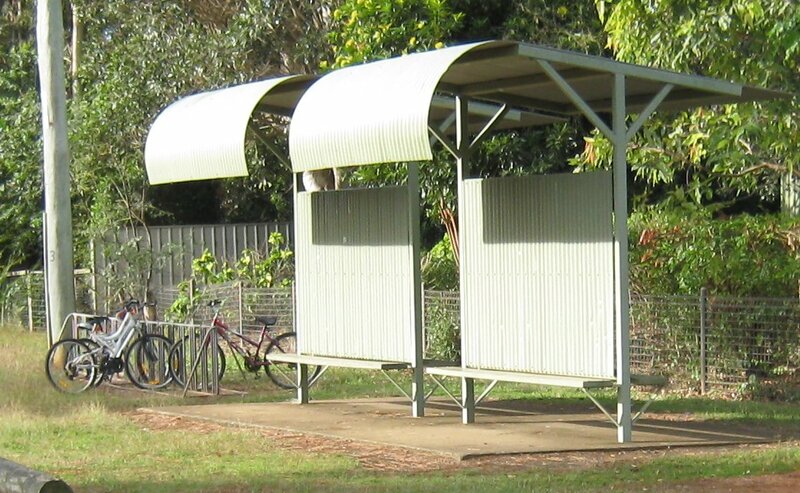 A Bus Shelter or Bus Stop Shelter is a shade structure erected adjacent to a bus stop, to shield potential passengers from rain and/or the sun. The useful life of a bus shelter will vary considerably depending on how it is constructed and a wide range of environmental factors. The table below shows the useful life for bus shelters adopted by Councils or published elsewhere. At the moment a useful life of about 20 years seems to be typical. Please feel free to add your Councils information below.